Hurts my ears to listen. Burns my eyes to see. Take me away to a land I’m free. Sun so hot, beer so cool. That’s where I ease my soul. So many roads I tell you, so many roads I know. Mountain high, river wide. So many rainbows to ride. 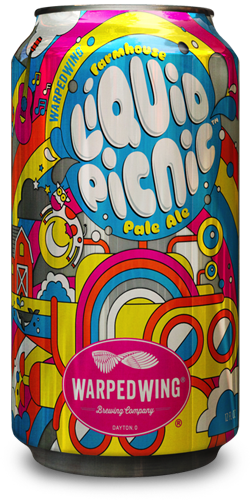 Liquid Picnic Farmhouse Pale Ale. American hops, Belgian saison yeast and a finish so dry. Let’s put on our wings and fly.